Despite being really horrible films, Michael Bay’s Transformers series has earned ton of money. In fact, the movies have earned over $3.6 billion globally. However, the last film in the series, “The Last Knight”, earned nearly half a billion dollars less than the film that came before it. That’s bad news for a studio who is looking towards a franchise as one of its main tentpoles. 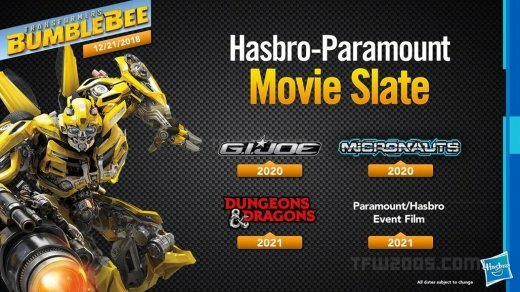 We know that there are several more films coming up from Transformers, including the Bumblebee film that is set as a prequel to the current saga of films. After that one hits theaters though, it looks like you can kiss the Bay era goodbye because Paramount is looking at a possible reboot of the whole thing. Based on several reports from Hasbro over at Toy Fair, it’s now expected that the failure of Transformers: The Last Knight to keep up with previous releases in the box office department has spurred Hasbro and Paramount to go in a new direction. Hasbro/ Paramount Movie Event: 2021. It’s a good bet that the event in question will be the aforementioned Transformers reboot, combining with a chance to bring that new film universe together.